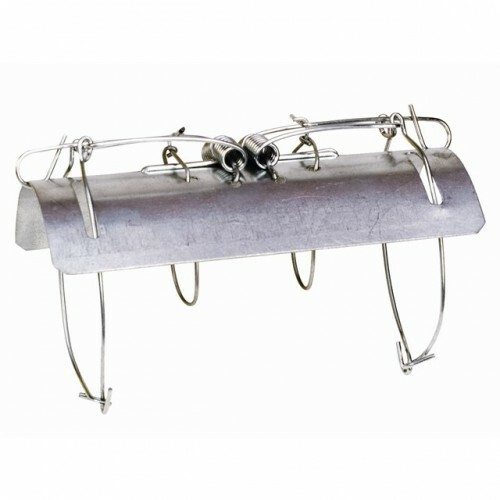 TWO-WAY TRAP WITH TRADITIONAL PROVEN DESIGN. SUITABLE FOR USE IN FROSTED GROUND & WET WEATHER CONDITIONS. LOW-COST CONTROL OF MOLES IN GARDEN, FARM & COUNTRY LOCATIONS. SETTING INSTRUCTIONS INCLUDED ON TRAP.